Staple item for any young sports fan! 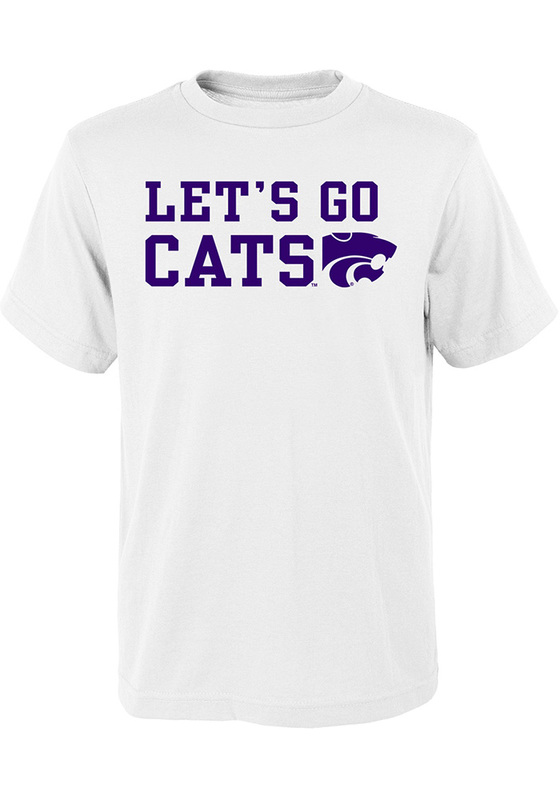 Your future K-State Wildcats will be ready for the game with this K-State Wildcats Youth White Short Sleeve Tee. This Lets Go Cats T-Shirt features a screen printed saying Let's Go Cats with the Powercat logo.